The Missive Maven: I want to be a kitty. 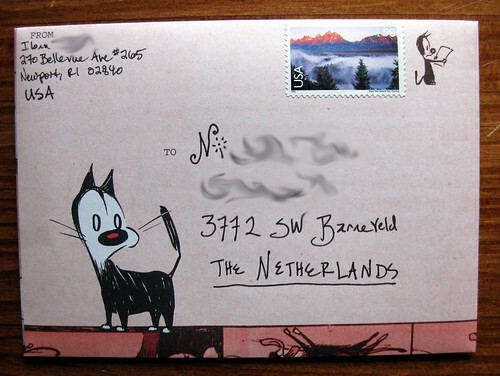 Today I bring you yet another design from the lovely world of Chronicle Books stationery: Mutts fold and mail. how cute, that is awesome and I am oh so jealous !!! LOL !!! oh i feel that paper envy feeling coming on again . great blog and thanks for sharing . 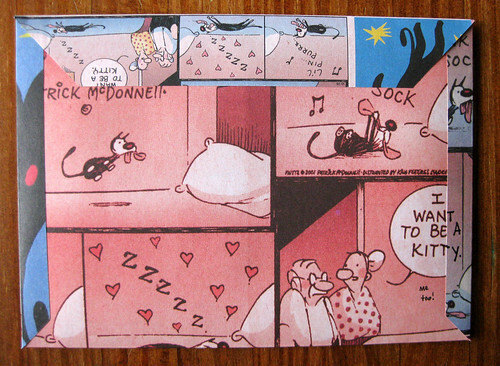 And I was hoping I'd get to send you a Mutts Fold and Mail before you saw them >SIGH< you are always one step ahead. Ooh, I have one to send you! Thanks, Emma! I look forward to it. OWWW I can't wait for it's arrival to see it "live"
Oh eek, Nic - you haven't gotten this yet?? Uh-oh. I sent it on August 19. Not a good sign... Am I the victim of ANOTHER lost piece of mail??? ARRRRRGH. Ilona you already know I love cats!